Did you fish the Sagiri at 13 foot? Lynn - thanks, I fished the Sagiri 13 ft only in one big pool but had to fish it the rest of the time at 11.5". I love the versatility to shorten it. And man, it is light! What a wonderful trip. Those streams are in great shape as are the trout. Love the brookies. The photos are thumbs up. Brk Trt - Thanks! Even though the snowpack was horrible last Winter, there were some frequent showers up in the park throughout the Summer which kept the rivers flowing. The current flow is about as perfect as it can be for August. What a great day on a great little stream. Doesn't look like you had to share the water with too many other anglers. Nice how the collapsible tenkara rods allows us to carry more than one rod easily. TA - we didn't see anybody else fishing all day. Only when we hiked out we saw two guys hiking in and there was a small guided group in the very first pool we fished in the morning. So yes, had this great creek all to ourselves (although I had to share with Graham)! You've got to love the way you can pack in several rods. 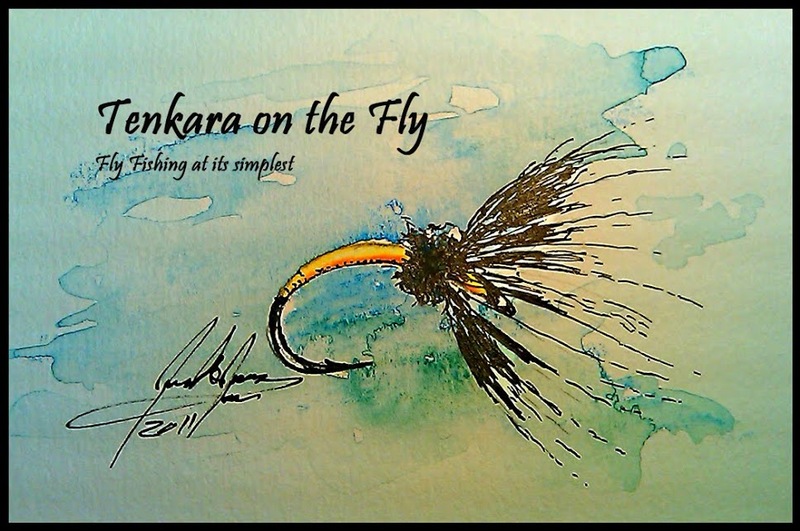 I carry my regular fly rod and put my Iwana in my back pocket for those "just right" waters. Couldn't be any sweeter. A nice post and sweet pictures, thanks for sharing.I also have a Sagiri and I like the rod, the ability to change the length and the rods lightness are both great features. It is great to see the Ti Net in action. Thanks Thom! The Sagiri is definitively sweet; I am looking forward fishing it a bit more. And you know, the Ti Net is one of my favorite equipment!